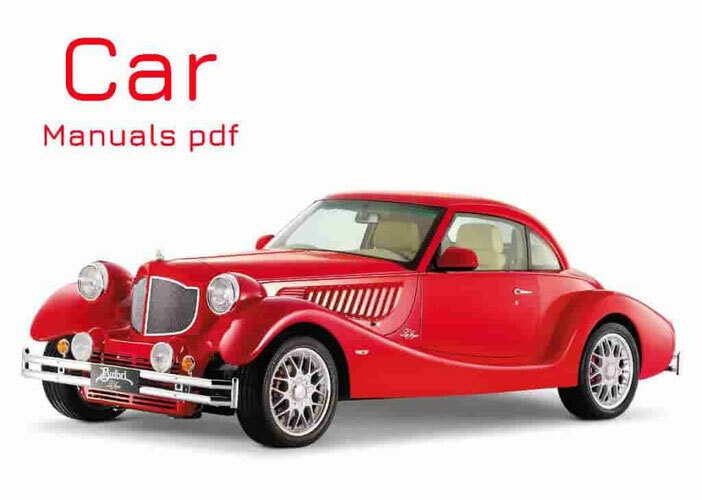 Bristol car Manuals PDF are above the page. Bristol - the British company that produces cars of the brand of the same name. It was founded by Sir George White. Initially, in 1910, she engaged in the production of aircraft. During the two world wars, the number of successfully engineered aircraft began to grow rapidly. During the Second World War produced a stunning Bristol, at that time, the number of aircraft - more than 14 thousand, among whom was the famous attack Blenheim. After the Second World War the company Bristol Aeroplane Co. I received from Germany, in order reparations, extensive technical documentation company in Munich BMW (PDF Manuals page) for serial and future vehicles, including sport BMW 327 and BMW 328. It was decided to convert several shops for car production. The company quickly gained an enviable global popularity. 1949 - Bristol began production model 401 aluminum body designed for her Italian company Touring Superlegero. He was placed on a frame of thin steel pipes. Elegant and well-streamlined Bristol 401 produced until 1953. More successful were the engines, which were used as AC, Fraser Nash (Manuals page), Cooper et al. 1953-55. - The first car Bristol Car Company became the British version of the 2-liter BMW. Bristol 404 model known as "the businessman`s express". In total 404 of these cars were produced. 1954-58 - Since its debut in October the 1954 and until the end of 1958 car Bristol 405 .297 cars was made. In 1955, the company has made a sensation by placing a spare wheel in front (model 405). 1960 - the company was forced to unite with other producers as a result of political pressure (because there was a British Aircraft Corporation, now known as the British Aerospace). This was due to the fact that in the early 60's base is obsolete 6-cylinder engine, however, weak and firm position in the market. 1962 - started to put on cars American Motors Chrysler (PDF Manuals page), and then began to use the Italian company Zagato bodywork. 1973 - in order to ensure the autonomy of the company was sold to the rider Tony GRUCA grandson of its founder. Tony GRUCA became the sole owner of the company. He fastidiously applied to the production of machinery and the company's management, and it is appreciated by buyers of cars. 1992 - came Beaufighter model, Brigand Turbo and Britannia. 1997 - Crook found a new financial partner, who took on the problems associated with the onset of the new millennium. 2001 - The company is now - the only manufacturer of luxury-class cars, which is owned by Britain. Company Bristol is very proud of its history. But the object of their greatest pride are the machines produced by them today. The company focuses on affluent customers and produces high-end cars with a rich set. 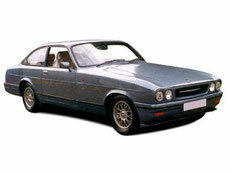 In the name of Bristol-Blenheim modern coupe retained the name of the famous British bomber Blenheim. By the end of 2001, the market expensive supercars, will be the latest English sports car - coupe Bristol Fighter. The car exists only in draft form. However, representatives of Bristol Cars argue that the sale of new items will begin as planned - with the appearance of the project to production will take place just 16 months. Bristol Fighter, with doors fitted with bodywork type "gull wing", will receive an all-aluminum V10 engine capacity of 8.0 liters and output of 525 hp (Vs. 450 hp in the standard version). With him coupe will reach a maximum speed of around 370 km / h and accelerate from 0 to 96 km / h in four seconds. This will be the world's first production car with an automatic transmission which overcomes the barrier of 200 miles / h speed (320 km / h). Despite the extreme form, according to the developers, the novelty will be "very pleasant on the move and will have excellent fuel economy." Thanks to the excellent aerodynamics and ultra-light body, Bristol Fighter has a power to weight ratio of 350 hp per tonne, which immediately put the car to the very top in the classification of a sports car.